Bin Laden dead: Who will lead world's top terrorist group? Explainer: Bin Laden dead: Who will lead al-Qaida? 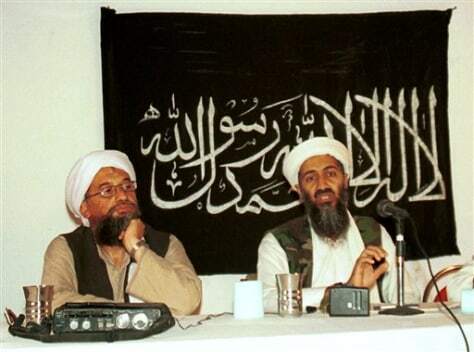 Ayman al-Zawahri, left, with Osama bin Laden in Khost, Afghanistan, in 1998. With al-Qaida's supreme leader killed, the terrorist group is seeking its next leader. Replacing Osama bin Laden, who founded the network more than two decades ago and masterminded the Sept. 11 attacks on the United States, is no easy task. 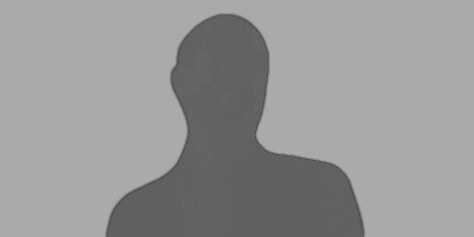 Following are top candidates for the world's top terrorism job. No. 2: He is the longtime second in command to bin Laden. Many in the counterterrorism community say they were surprised that Zawahiri was not named leader soon after bin Laden was killed May 2 and every day he isn’t lessens the chances he will succeed to the top position. A pediatrician who was jailed and tortured in Egypt in the roundup following the assassination of Anwar Sadat in 1981, Zawahiri is seen as prickly, arrogant and pedantic by many in al-Qaida. He is also Egyptian, and that is not a positive in an organization dominated by Gulf Arabs. By his own count, he has been targeted by the Americans for attacks six times. They came closest in Domodola, Pakistan, in early 2006. Al-Qaida operative Abu Yahya al-Libi. 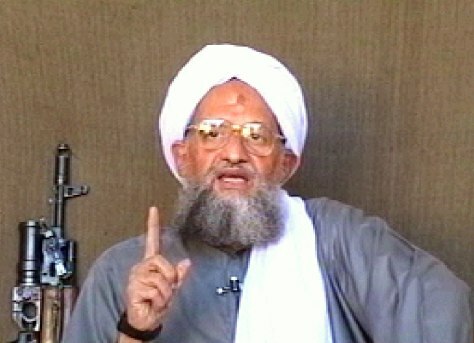 Hardliner: The leading propagandist of al-Qaida, he is the most charismatic leader in the terrorist group. Although he has no operational position, his videos have outnumbered those of both bin Laden and Zawahiri. He has a great deal of “street cred,” according to one U.S. official, because he fought against the U.S. in Afghanistan. He was captured and then escaped from Bagram prison in July 2005. Al Libi is one of a number of Libyans who have risen in al-Qaida ranks over the past decade. Abu Faraj al Libi was the organization’s No. 3 until he was captured, and Abu Laith al-Libi was the No. 4 until he was killed in a Predator strike in 2008. Another Libyan, Abu Gaith al Libi served as bin Laden’s press spokesman after Sept. 11. He is believed to have died. 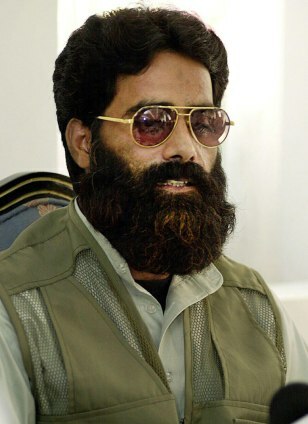 Ilyas Kashmiri, commander-in-chief of the Kashmiri militant group Harakat-ul Jihad-i-Islami. Rising star: Kashmiri has risen quickly in the al-Qaida hierarchy. He has his own terrorist group, Harkat-ul-Jihad-al-Islami, which operates in Indian-held Kashmir. More importantly, he is known to have been invited to high-level al-Qaida councils in North Waziristan. There were reports in the Pakistani media that he’d been killed in September 2009 in a Predator strike, but those turned out to be false. Kashmiri was reportedly killed in a drone strike on June 4, Pakistani officials say. Kashmiri was indicted along with Pakistani-American David Headley, in October 2009, on two counts, for "conspiracy to murder and maim in Denmark" (against the newspaper Jyllands-Posten) and "conspiracy to provide material support to terrorism in Denmark." Plugged in: Born in Las Cruces, New Mexico, to Yemeni-American parents, al Awlaki speaks perfect English, is a charismatic speaker and is more heavily involved in social media than any of the others. 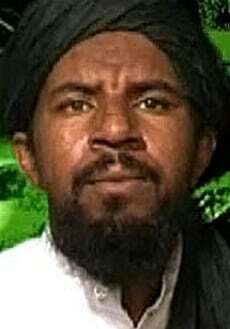 He has reportedly been involved, either directly or as an inspiration, in several AQAP-linked attacks, including Maj. Nidal Hassan’s killing of 15 soldiers at Fort Hood in November 2009, Umar Farouk Abdulmuttalab’s attempted bombing of Northwest Flight 253 over Detroit on Christmas Day 2009, and Faisal Shahzad’s attempt to kill and maim hundreds in Times Square in May 2010. He had his own website and Facebook page, which had more than 5,000 “friends” until Facebook shut it down following an NBC News report. He has directed messages at African Americans in recent speeches, comparing anti-Muslim bias to slavery and segregation. Days after Bin Laden was killed, al Awlaki was the reported target of a Predator strike in Yemen, which killed two other members of his tribe in an SUV. Al Awlaki was not in the vehicle. Bin Laden's gatekeeper: A North African, Atia was promoted to No. 3 in 2010 after his predecessor, Sayed Sheikh, was killed in yet another Predator strike. He was personally close to bin Laden, going back to the late 1980s when he was a teenager fighting against the Soviets. He is known as an explosives expert and Islamic scholar. He retreated with bin Laden to the mountainous Afghanistan-Pakistan border region in the fall of 2001, according to the FBI. He was reported killed in a Predator strike — only to show up alive. One stain on his legacy: He was in charge of bin Laden’s couriers. Up close: As military commander of al-Qaida, al-Adel was part of the al-Qaida Management Council, which bin Laden instructed to go to Iran in November 2001 as Afghanistan collapsed. U.S. officials in the past have told NBC News that al-Adel is in some kind of custody in Iran. Iranian officials went further, saying he and the rest were "in jail." There were reports last year that he had somehow left Iran, but U.S. officials then and now said they cannot confirm that. Al Jazeera reported this week that al-Adel had been appointed interim leader of al-Qaida.